Filmed in various locations around Long Beach, California, the commercial features oil barrels propelled by an invisible force rolling along city streets and country paths. The barrels converge en mass at a dockside before rolling up the gangway of a huge oil tanker. We were involved in early pre-production planning and filmed tests using real oil barrels and experimented with CG replicas. 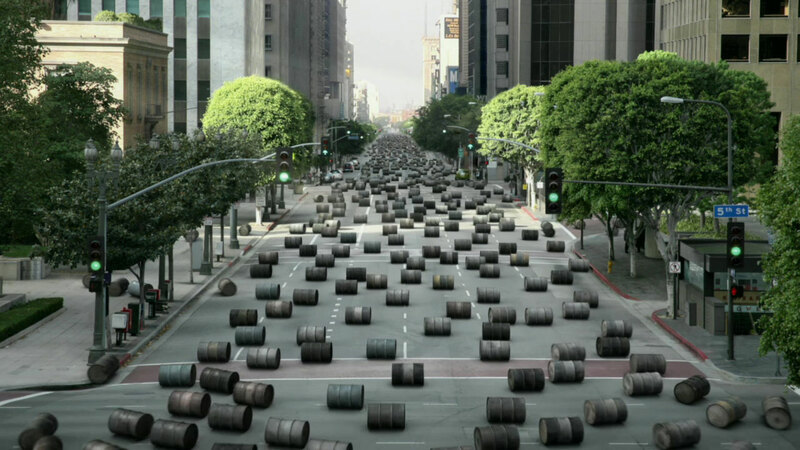 The finished commercial utilizes a mixture of in camera action and 3D barrels animated using Massive.